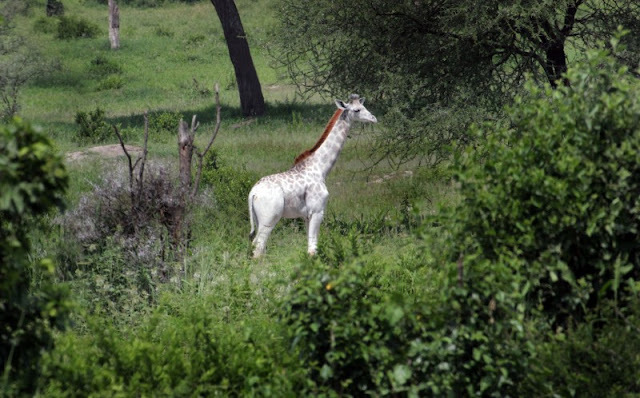 These incredible snaps show a rare white giraffe grazing in the African bush. 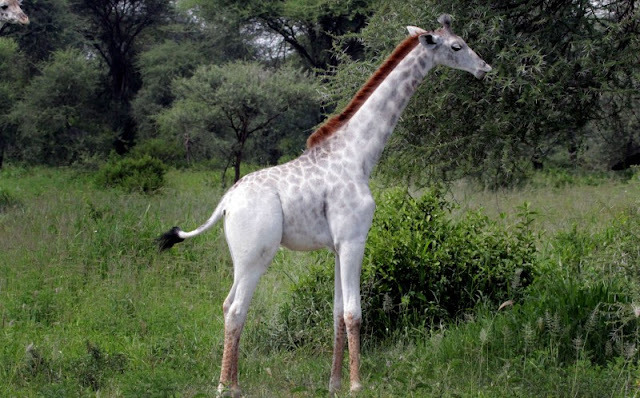 Omo the white giraffe has been spotted roaming around Tarangire National Park, in Tanzania, along with the rest of her herd - who don't seem to be bothered about her unusual colouring. 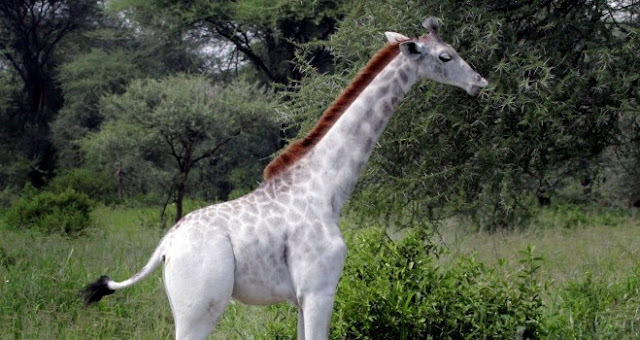 Ecologist Dr Derek Lee, founder and scientist at the Wild Nature Institute, caught the pale giraffe on camera. 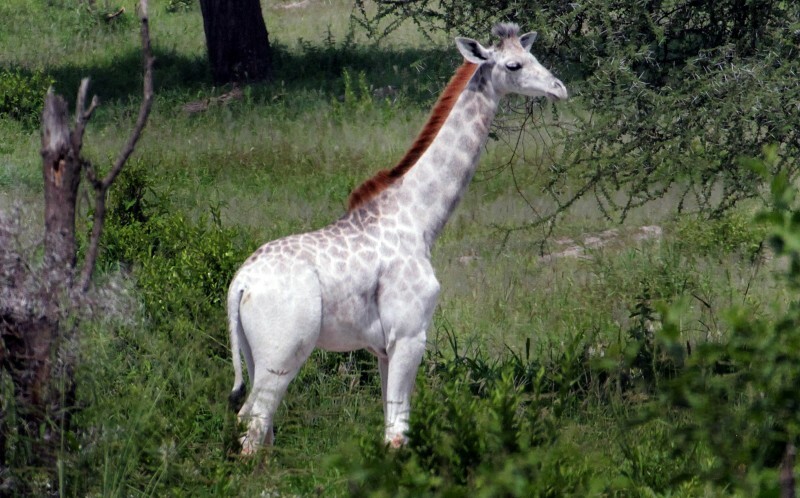 Derek, 45, said: 'Omo is leucistic, meaning many of the skin cells are incapable of making a pigment but some are, so she is pale - but not pure white with red or blue eyes as a true albino would be. 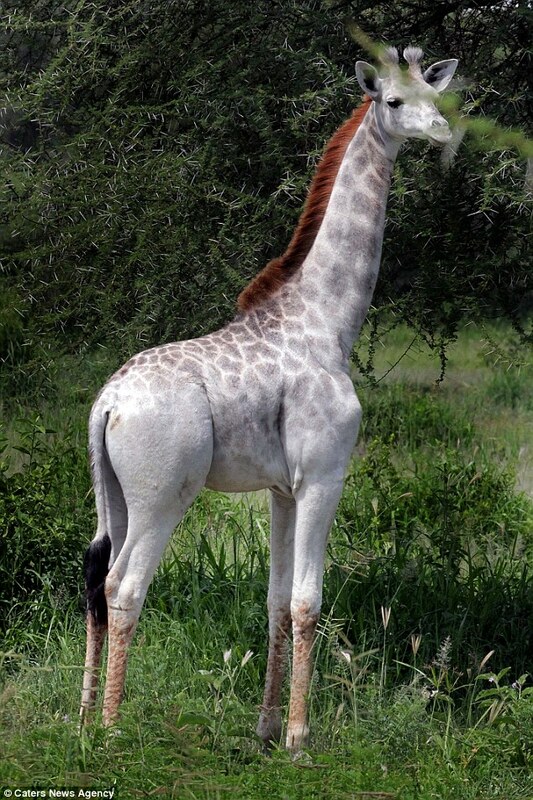 'It is a genetic condition. 'Omo is the only pale giraffe we are currently aware of, but we have also observed leucistic waterbuck, cape buffalo and ostrich in Tarangire'. 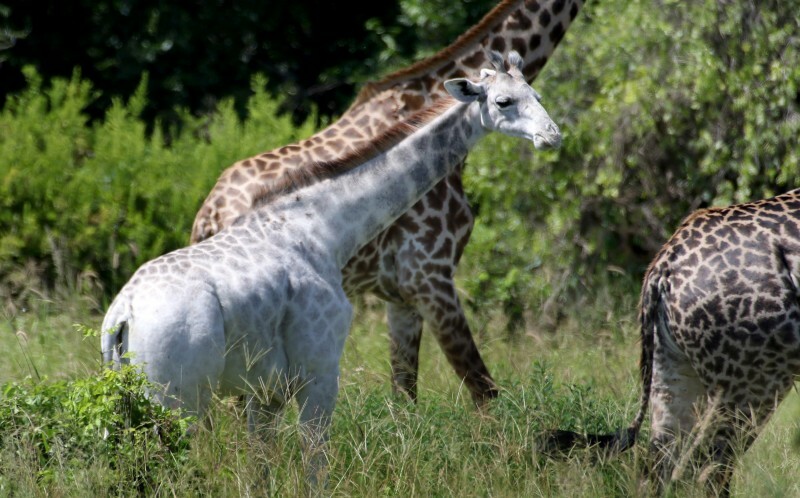 'We and our partners are working on giraffe conservation and anti-poaching to help give Omo and her relatives a better chance of survival. Responses to "Incredible photos show a rare White giraffe grazing in the African bush"
well, that's different! i hope she stays safe.